Evil Ways Butterfly Bush is a stunner in the garden with it's chartreuse foliage and striking maroon flowers. 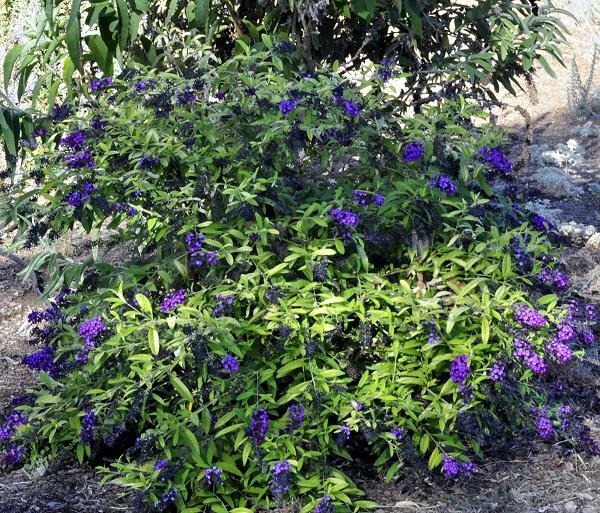 Evil Ways Butterfly Bush can take some afternoon shade in really hot summer climates. It brightens any corner and looks great planted with purples like Catmint or Lavender. In the photo above Evil Ways thrives in the afternoon shade of the larger butterfly bush, Orange Sceptre. This plant is sometimes available in plug trays. These trays hold 128 of all the same plant. They are a great low cost way to fill a lot of space. Each cell is 3/4 of inch by an inch. Check here to see if Evil Ways Butterfly Bush Plug Trays are available. 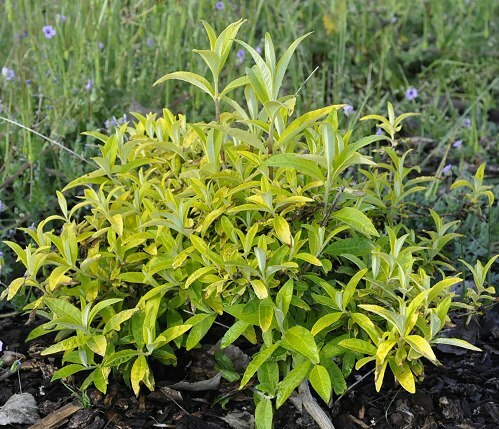 Evil Ways Butterfly Bush makes a great addition to our Wildlife Herb Garden Six Pack.